Skywalker Tree Company in Charleston, SC does professional tree trimming and tree removal, in a 15-20 mile radius in and around Charleston, SC. If you are looking for Certified Arborist of Charleston, get in touch with us today. We have years of expertise in tree trimming and removal. Whether residential or commercial, our degree of commitment to the job and the clients remains the same. 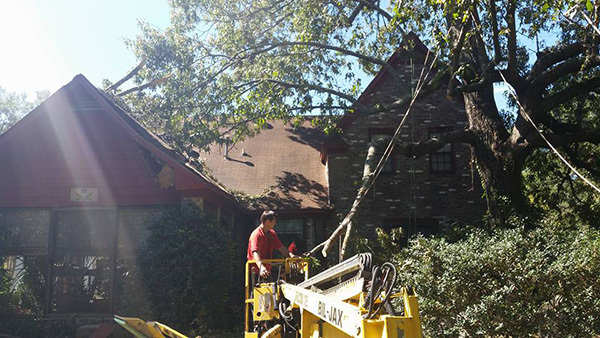 We undertake all manner of tree care services such as removing hazardous trees from your yard, thereby preventing accidents. We also take up ornamental pruning, vista pruning, house clearance trimming (8-10 ft.), diseased or dying tree removal and hauling. Our company can also help you with the process of getting arborist letters, house clearance and similar situations. Need a certified arborist? Want to get rid of an eyesore of a tree in your yard? Need an arborist letter? Call me today on 843-327-1272 for prompt and professional help with all these issues.